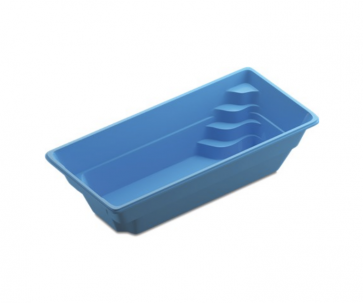 The 18′ x 36′ pool size is ideal for the smaller garden where space is limited. For strong swimmers why not compliment your pool with an Endless Pools Counter Current Unit. You can swim without having to turn. We can help with heaters and enclosures to enable you to use your pool all year round. 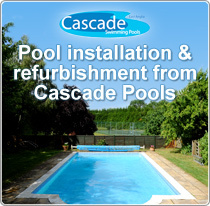 With a DIY Swimmer Polymer Panel Swimming Pool Kit from Cascade Pools you will have everything you need to build your own affordably priced pool! A swimming pool not only offers health benefits but is an enjoyable asset providing fun for all the family year after year! A swimming pool changes the whole atmosphere of your property in a way nothing else can. It becomes a focal point of your garden and it is true to say that your home takes on an entirely new feel after your pool is installed. The Swimmer Polymer Panel system considerably cuts down the handling of materials and saves time and ultimately forms a stronger pool. All-resin structural polymer wall panels will not corrode, split, rust or degrade and have a 10yr guarantee. The Modular Wall System with panels from 1ft to 6ft long simply bolt together and the cut-out details for Skimmers and under water lights are already incorporated. 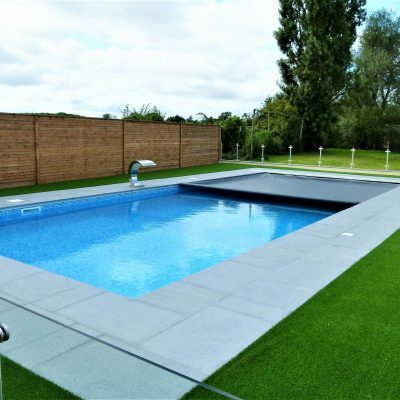 The panels are a standard 48″ high giving an overall finished wall depth of 3ft 10″ which will give an average water depth in the shallow end of 3ft 6″, this is ideal for swimmers of all ages and confidence levels. A 30thou vinyl liner in Mid-Blue with a Mosaic Pattern Tile Band is included however upgrades to a Deluxe liner are available. It can be a tricky to balance your pool water, but with the help of this useful guide, you will complete the task in no time. 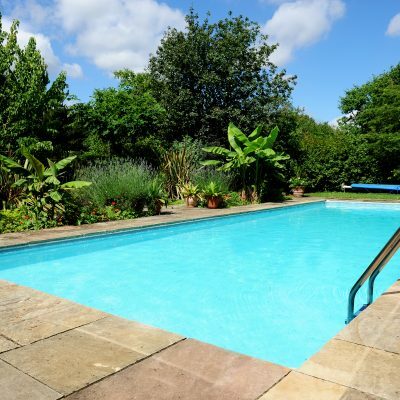 Looking after an above ground pool need not be a chore. 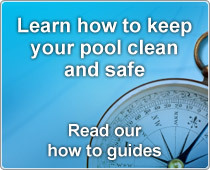 Read our definitive guide to caring for your above ground pool. Discover everything you need to know about balancing and maintaining your pool in our handy downloadable PDF. To keep your spa water healthy, clean and inviting isn’t always easy but it is important. Read our guide on spa maintenance maintenance and water treatment to make caring for your spa a breeze. At the end of the outdoor swimming season, some simple procedures can ensure that your pool equipment is protected and the water condition is in good condition for the following year. There are a number of exemptions to the hosepipe ban including filling a swimming pool with water as part of the construction of a new pool. In this guide you will find a number of guidelines to follow concerning your domestic swimming pool. With the hosepipe ban now in full swing we’re aware that many pool owners are looking for new and innovative ways to save water and prevent any disruption that this ban could have on the swimming season. View a great selection of swimming pool essentials you should look to pack in your suitcases to make the most of your time at the pool or on the beach. Planning to buy a pool ready for next summer? Key things to consider! So the summer sun is but a distant memory for many of us as we approach the winter months, but for many this is the perfect time of the year to start putting some plans into place for next year.